Physical therapy is a field that is concerned with rehabilitation of the human body after accident, disease or other injuries. Physical therapists, or PTs, work with injured people, the elderly or those with physical disabilities on a regular basis, using specific exercises and sometimes machines to rehabilitate them. Rehabilitation can vary in length of time, but the success rate with most patients is high. For the most part, physical therapists work in doctors' offices, nursing care homes, and hospitals, although they can also have private practices as well. The physical therapist salary generally range from $82,000 to $117,000 (http://physicaltherapysalary.org/). To become a physical therapist, one must complete a bachelor degree in physical therapy or in a related field such as biology, physiology, or kinesiology. Thereafter, the candidate should find an accredited PT graduate program. A graduate degree in physiotherapy is a minimum requirement (though you can choose to pursue a doctorate as well). Finally, specific exams must be successfully completed for complete certification and licensing. These exams will vary depending on the state you wish to practice in. At the University of Washington, located in beautiful Seattle, Washington, candidates can earn a Doctor of Physical Therapy (DPT) in 11 quarters (roughly 3 years). The entire cost of attendance in addition to fees, books, room and board, transportation and miscellaneous costs for the entirety of the program is approximately $70,000 for in state residents and $112,750 for out of state residents. When the candidate is through, he or she is ready to directly take the physiotherapy exams for any state, not just Washington. There are also fellowships available that take care of considerable costs for eligible students. Although the location of this school is breathtaking, it can also be very cold in the winter months. 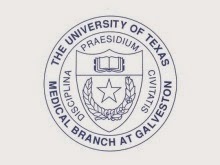 There are two physical therapy programs at the University of Texas Medical Branch, located in sunny Galveston, Texas. First, there is the Entry Level DPT program. This is for students who have already completed an undergraduate degree in a related field. Then, there is the Post Professional DPT program (t-DPT). This is a clinical doctoral degree for those who have already received a DPT and are looking to further their qualifications and expertise. This program is also great for those who wish to study more specific elements of the practice. Tuition (including all expenses) for this university is $66,000 for in state residents and $105,000 for out of state residents, though there are fellowships and assistantships available as well (prices are for the entirety of the program). 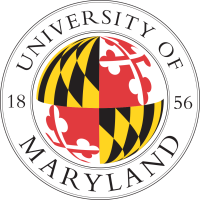 As with the UTMB, the University of Maryland, located in the vibrant city of Baltimore, offers two degree programs: the Entry Level DPT program and the Post Professional DPT program. The tuition for in-state residents at UMD is $55,000 for the entirety of the program and $90,000 for out of state residents. A positive thing about UMD's programs is that it is at least slightly cheaper than the other universities, and in addition, the university has a very high completion rate at 90%. The UMD's program also begins in early June, which may be a better scheduling option for some candidates, as most schools begin in September. For list of accredited PT programs, click here.